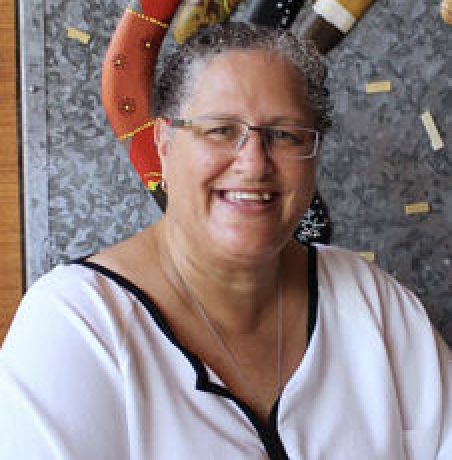 Dr Stephanie Gilbert commemorates this year’s NAIDOC theme – Because of Her, We Can – by examining why Pearl Gibbs’ contributions to the fight for Aboriginal rights should be remembered by all Australians. In 2018, we turn our attention in this year’s NAIDOC week to ‘the essential role that women have played – and continue to play – as active and significant role models at the community, local, state and national levels.’ In 2005, I published a chapter exploring the role that Pearl Gibbs had played in the struggle for full Australian citizenship and fair conditions for Aborigines. This chapter traced Mrs Gibbs’ contributions from the 1920s when she became an advocate against the removal of Aboriginal children, her achievements as the first woman on the Aborigines Welfare Board in the 1950s, through to her continuing activism up to her death in the early 1980s. As an Aboriginal woman myself, very much passionate about the same things as Mrs Gibbs, I looked to her actions in local, state and national politics as a way to understand the position of Aboriginal women in the struggle for equal rights. She continues to stimulate my passion about various key issues, from the rights of the Stolen Generations through to the place of women in Aboriginal political movements. After publishing this work, I talked with my grandmother and she explained our own family’s linkage to Mrs Gibbs and her mentor, trade unionist and Aboriginal politician William Ferguson. My grandmother and I have connections to Dubbo, one of the sites where both Gibbs and Ferguson were based, and we also have familial connections to both people and their families. This familial and geographical connection made me reconsider Mrs Gibbs’ story and the ways that we can apply different lenses to any story. Earlier I had been motivated by an idea that Mrs Gibbs’ role had been underexplored in the literature exploring Aboriginal political movements and their development because she was a woman. It seemed to me that the men of the story had been presented as the core innovators rather than what I suspected was the case: that many women were both there and core to the intellectual development of the Aboriginal political movements. It struck the same chord with me later, listening to Marlene Cummins in her recounting of her role in the Australian Chapter of the Black Panther Movement. 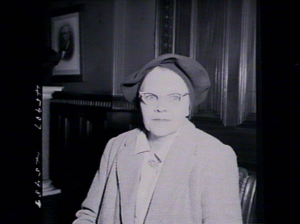 Mrs Gibbs, Aborigines Welfare Board, 1955. Image via State Library of New South Wales. To reconstruct Mrs Gibbs’ story, I had examined the information available about Mrs Gibbs widely in public forums as well as her papers in the Mitchell Library, Sydney. I knew that her children would also be interested in her story being told but initially the work was designed to create a record all in one place celebrating her political contribution. There were many aspects of Gibbs’ activism I discovered in my research which were very intellectually stimulating. She had an ability to speak to many audiences and drew a great many people in to thinking, considering and contributing to improving Aboriginal lives. Her speaking prowess is perhaps why it was she who made the first radio broadcast by an Aboriginal woman. 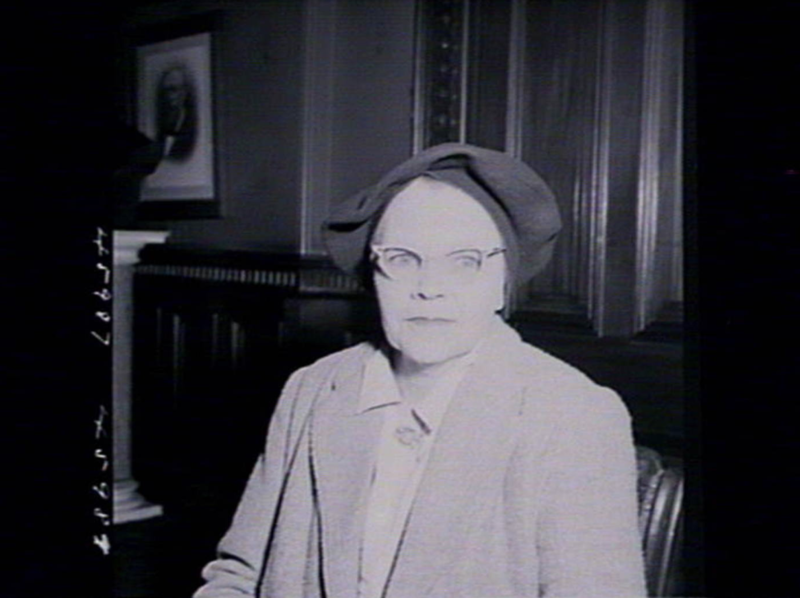 Gibbs also became the first woman on the Aborigines Welfare Board notably even before non-Aboriginal women were able to join. Gibbs also worked hard to present her message to many women’s groups in order to garner wide-ranging support for her interests. (This engagement with women’s groups is why she was included in a volume on ‘white women’s activism’ when she herself was an Aboriginal woman.) Perhaps most importantly, if something was not working she would change tack and come at the issue from another angle. So, what does all this mean now for the 2018 NAIDOC theme? As stated earlier, the theme speaks to the role women have played as active and significant role models at the community, local, state and national levels. Indeed, it is interesting that this theme does not actually celebrate women’s achievements alone. It celebrates the role model presented to us. So, is this about women’s achievements in and of themselves? Pearl Gibbs alongside other amazing Aboriginal women – such as Oodgeroo Noonuccal, Justine Saunders and Lowitja Donohue – are our heroes. They were the heroes of our Aboriginal political movements, but also to our nation. I celebrate for myself the activism of Mrs Pearl Gibbs and in its absolute cleverness find a model for my own behaviour and intellectual development. However, Gibbs like myself continually faced the challenge of being a female in a world which prioritised the interests of men. This continues to be one of the challenges we face in 2018 both as Aboriginal women but also as women in Australia. The challenge of the NAIDOC theme is to not limit our interpretation of this theme as only constructed through the eyes of one group of people, children to their mothers, men to their wives. Indeed, our challenge includes not limiting our perception of the roles women might take to those aligned to their caring as mothers, aunts and grandmothers. Women are in every place of our lives, we are colleagues, lovers and antagonists. Our challenge must include identifying those females who are not usually represented in dominant thinking about Aboriginal females. So it is that once again I am reminded of Pearl Gibbs, actively taking on the Aborigines Protection Board on behalf of other young women; caring about the issues at hand and being a vocal activist for the whole of her life. My hope is that we will see a whole range of women celebrated for their work, whatever that work is. This is the challenge to not relax to the usual trope of woman as mother to the exclusion of all other representations. 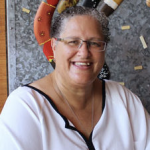 To learn more, read the full book chapter: Stephanie Gilbert, “‘Never Forgotten’: Pearl Gibbs (Gambanyi)” in Uncommon Ground: White Women in Aboriginal History, edited by Anna Cole, Victoria Haskins and Fiona Paisley, pp. 107-126. (Canberra: Aboriginal Studies Press, 2005). Dr Stephanie Gilbert is currently on a Post-Doctoral Fulbright Scholarship at the University of California (Los Angeles) examining the Indigenous body, epigenetics and memory. She passionately identifies as Stolen Generation, Tubba-Gah Wiradjuri and Kamilaroi. She is employed as a Senior Lecturer at the University of Newcastle. This entry was posted in Because of her we can, Inspirational women. Bookmark the permalink.